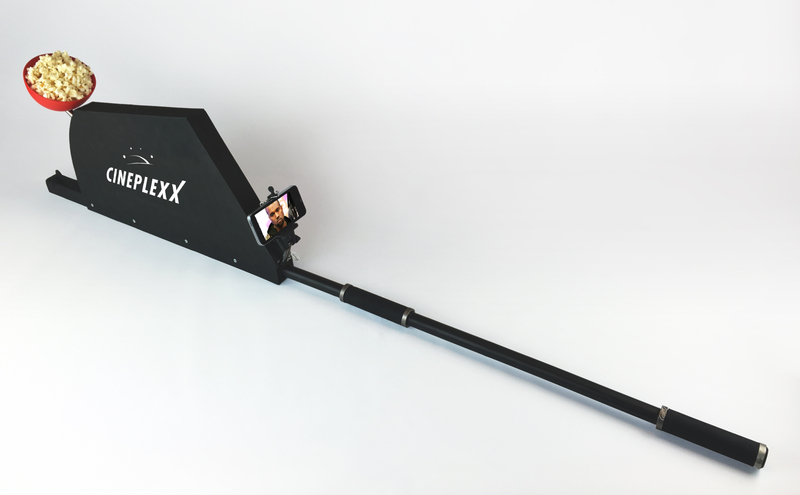 Austrian „Cineplexx“ movie theaters and the Agency „Traktor“ asked us to develop a special selfie-stick. While taking a selfie, a built-in catapult throws popcorn right at you. We had a blast working on it until it ran perfectly!